Heat a large nonstick skillet over medium heat; cook bacon, turning occasionally, until crisp, about 5 minutes. Remove to paper towels; drain. Meanwhile, mix together mayonnaise, scallions, water, salt and pepper in a small cup. Lay toast on a work surface. Spread one side of each slice with mayonnaise mixture. 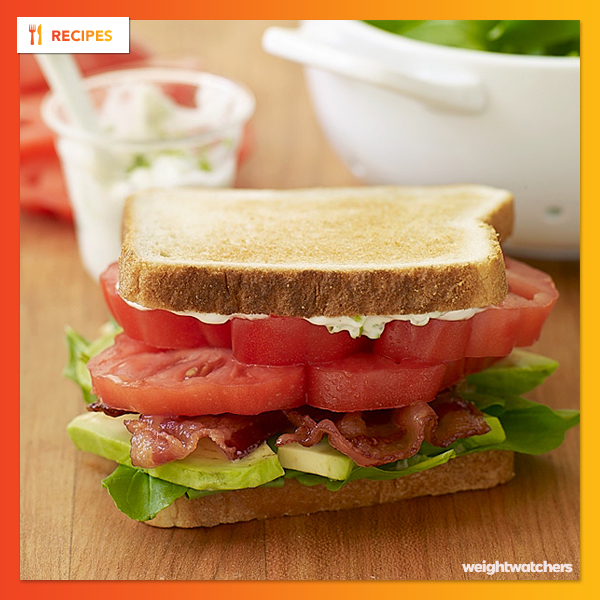 Layer with half each of arugula, avocado, bacon and tomato. Top with remaining pieces of toast and cut each sandwich in half. Serve immediately. Yields 1 sandwich per serving.